Riding a motorcycle creates risks for various types of serious injuries. If you suffer a serious injury, find out how a motorcycle accident lawyer can help. The Boston Law Firm of Jonathan D. Light, P.C. can investigate the cause of your accident and recover the compensation entitled by law. Injury can be minor, disabling, life-threatening or fatal. In addition to representing accident victims, an attorney can also represent family members who have lost a loved one in a fatal accident. Road rash. Road rash occurs during accidents and results in bruises and skin abrasions, despite wearing leather pants or jeans. Preventing infection is the main concern with this type of injury. Neck and back injuries. Herniated discs often require substantial treatment and can lead to permanent disability. Soft muscle tissue injury such as torn ligaments may also be a concern, but people generally heal much faster from this type of injury than a herniated disc. Head and spinal injuries. When extremely severe, head and spinal injuries are devastating for victims and their families. Spinal cord injury can result in complete paralysis. Paraplegia is paralysis from the waist down and quadriplegia involves paralysis from the neck down. In either case, whole bodily systems can be affected. The respiratory, endocrine, gastro-intestinal and other systems may no longer function properly, which can result in shortened life spans and extensive need for assistive care. Likewise, head injuries can be traumatic, leaving the individual unable to function or hold a job and require extensive assistance with basic daily living activities. Bone fractures. Bones can easily fracture during a collision impact or when thrown or pinned down by a motorcycle. While in most cases, bones mend and individuals can get their lives back on track, victims may suffer a long period of immobility and be unable to work. Disfigurement. Disfigurement can occur as a result of any serious fracture, abrasion or injury where the body is mangled and requires constructive surgery. 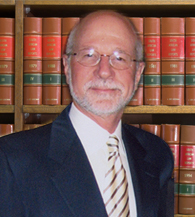 Jonathan Light has in-depth experience dealing with insurance companies, negotiating settlements and winning cases. He has obtained successful outcomes helping motorcycle accident victims recover compensation for their injuries.